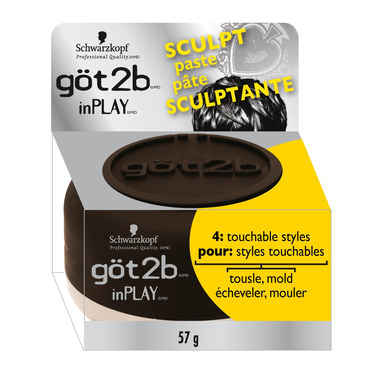 Got2B inPlay Sculpt Paste lets you easily mold and shape that messy look- no bed required. Twist and turn your hair all you want, with the paste's rough finish, it will always look like you didn't even spend time on it. I like how it felt in my hair, but it really smells like men's cologne so I am going to have to find another wax product. Horrible ingredients, goes to garbage right now.